No, today’s post is not about some sort of medieval torture device. What it is about is the way we scan our feeds from various social media services with a quick thumb-slide, pushing whacks of content aside that doesn’t immediately grab our attention. And I’m just as guilty as anyone else. All that time we writers spend creating thoughtful posts bypassed in the briefest of flicks, while posts about acrobatic dogs or cute babies or alligator-eating pythons get most of the attention. We can lament the changes sweeping across a landscape previously understood. We can moan and complain. We can stop blogging altogether saying our time is better spent writing another book. Your choice. Here are a few thoughts to consider, including a few quotes from an October 2015 post by Mitch Joel. Yes, I know that’s already a lifetime ago, but the topic remains relevant. Less is more. Perhaps this should be my new mantra. Deliver short insightful posts with the main points highlighted. You can do so by breaking topics into more than one chunk to offer a ‘mini-series’ to readers. Or you can work harder to find and write the essence that’s of most value to readers. Add diagrams or charts to signal unique content. These are more likely to catch the eye than a picture or the cover of your latest book. Content consumers focus on their feeds. You need to be in their feeds multiple times to catch attention. Retweets, shares, comments and likes are your best friends. Headlines are king. Or queen for that matter. The title you use for your post is crucial. 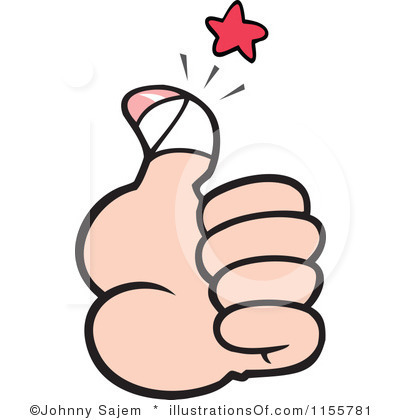 Does Your Thumb Hurt may not be brilliant but it might catch a wider audience than How Blogging is Changing. In the interest of ‘less is more’. I’ll stop now. What changes are you making? Great post Mary. (And great title!) I started a new blog as part of my querying process but sometimes I wonder if it’s worth it ! Hi Downith … I can tell you the folks at Lake Union Publishing thought my blog valuable. One reason is the contacts I’ve built through the blog, another is the demonstration of writing and the discipline and productivity it takes to do so regularly. I think they also found some useful data from the surveys 🙂 Wishing you well and all best with your writing. Your blog is a wonderful resource for all things historical writing so I can see why they would view it as an asset! What a lovely thing to say! Many thanks, Downith.